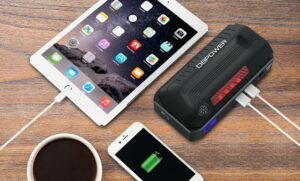 Best jump starters are multifunctional devices that have many features. 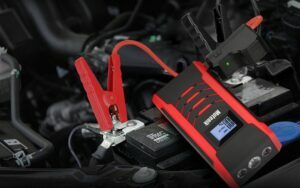 For example, I use Schumacher XP2260 and it is not just a jump starter. 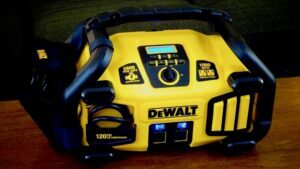 It is a super reliable and helpful device. 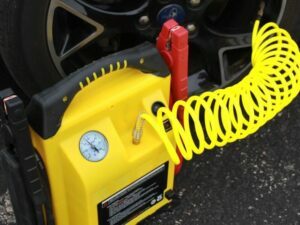 You can use to charge a smartphone or to inflate your tires, since it has a very powerful air compressor. The LCD display shows all information you need to know. To be honest, one of the factors that made me bought it, was its design. Sharp lines make it look like a sports car. It is quite heavy, but you should not worry about it, since it has a very ergonomic handle, so you can easily take it wherever you need. 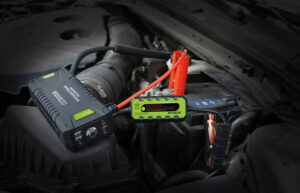 There are also LED indicators that show the battery charge level. 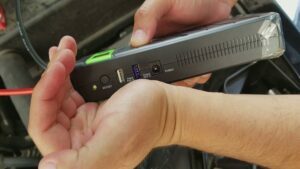 This is the device that every driver should have. This is a perfect solution for every driver. 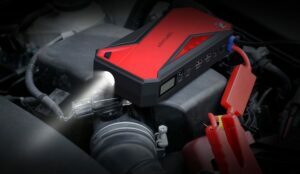 It is powerful enough to start up an automobile with a big engine. 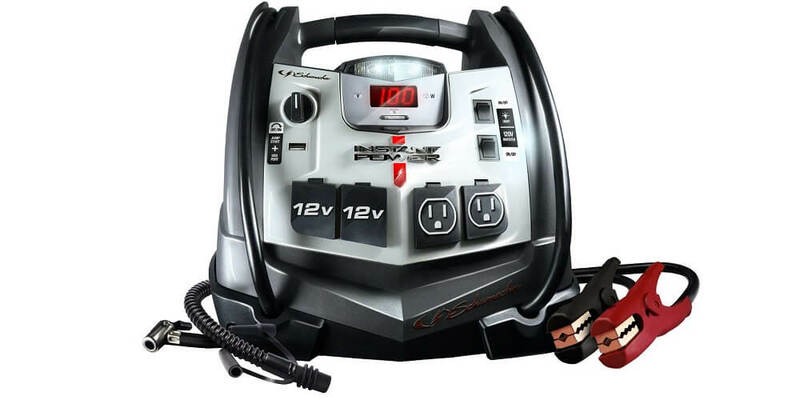 The peak power is 1200 amps. The cold crank is 185 amps. This power is enough to start a motorcycle, an automobile, a boat or even a heavy-duty truck. The clamps with a good grip will never get off on themselves. The clamps are super durable. An USB port to charge your devices. 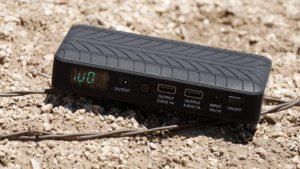 LED indicators shows the charge level. The LCD display provides you with important information. 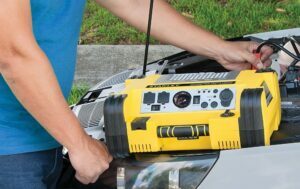 A built-in 400 Watt inverter. 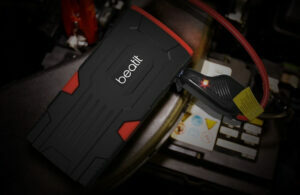 A perfectly sealed battery lets you keep it in any position. The weight is 24 pounds. 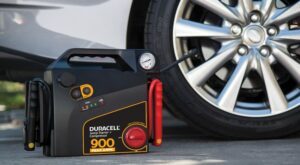 The battery may be difficult to replace. 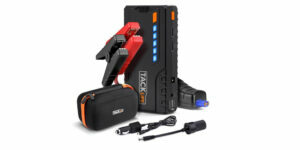 This is a perfect device that can help you solve different problems with your car. 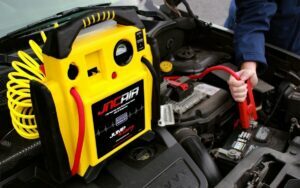 It can be not only as a jump starter but also as an air compressor to inflate tires. 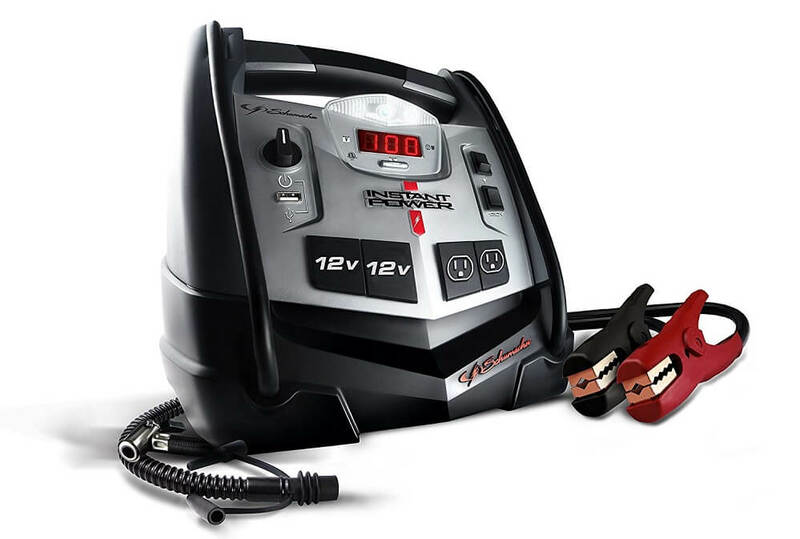 This is a super reliable device that has helped me many times. Of course, it is big and relatively heavy, but that is not an issue, since the device has a very ergonomic handle. It looks super modern. I like its sharp lines, but the most important is that it does what it should without any troubles. 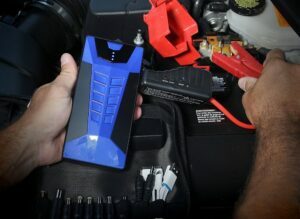 If you need to jump start a vehicle, then this device will help you. 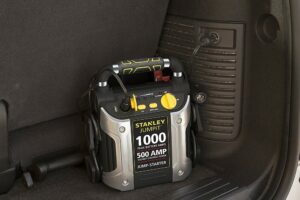 It can start even a heavy-duty truck. 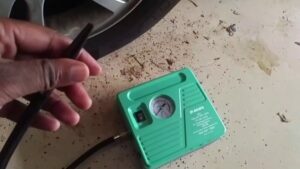 An air compressor can inflate your tires fast. 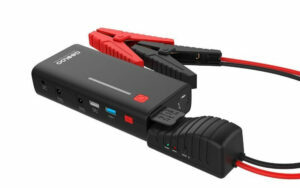 It can charge devices like smartphones, tablets, etc. 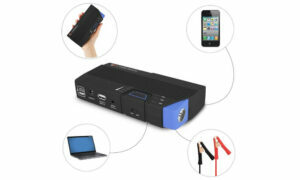 It is a super useful multifunctional device and I would like to recommend it.